For people who mock web 2.0 (heck that includes me), look- you can make a world out of all of those logos! 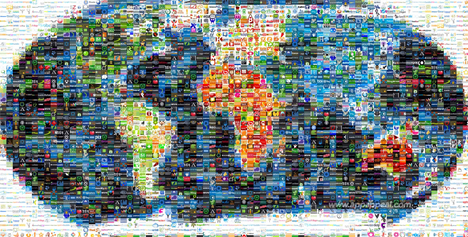 See the Map of the World 2.0, made of 1001 web app logos. This comes from AppAppeal a site that catalogs and reviews web 2.0 sites. See you can do something useful with web 2.0! 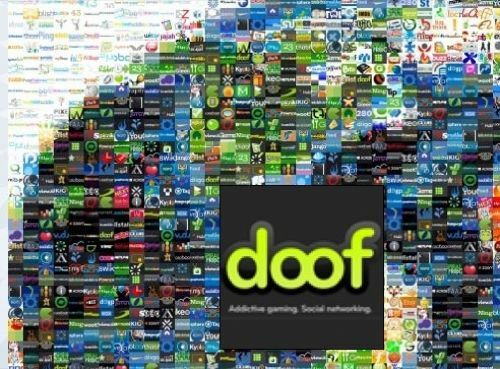 I tried to locate my home in Arizona, which seems to be appropriately located near the logo for doof, an online game site. Now stop making fun of web 2.0. I will if you will.